Welcome to Grindstaff Engines, Inc.
We are here to help your business with your forklift engines or engine powered equipment needs. Our company has specialized in rebuilding lift truck engines and other remanufactured industrial engines since our inception in 1982. Whether you have an Allis Chalmers, Baker, Bobcat, Broderson, Case, Caterpillar, Champ, Clark, Daewoo, Halla, Hydromac, Hyster, JLG, Komatsu, Kubota, Mitsubishi, Nissan, Pettibone, Royal, Silent Hoist, Taylor Dunn, TCM, Tennant, Towmotor, Toyota, White, or Yale we will try to have a rebuilt exchange engine for it. With our information database, we can normally take the model and serial number of your forklift and be able to supply a remanufactured engine from this information alone. 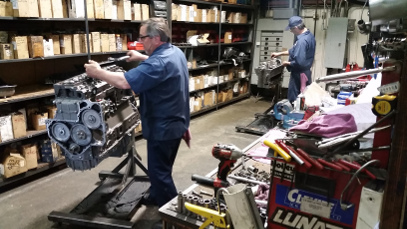 Some examples of engine makes that we supply are: Allis Chalmers, Caterpillar, Chrysler, Continental, Ford, GMC, Hercules, International, Isuzu, Mazda, Mitsubishi, Nissan, Perkins, Peugeot, Toyota, Volkswagen, Waukesha, Wisconsin, and Yanmar. 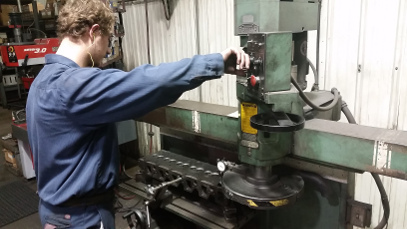 Others such as Cummins, Daewoo, Deutz, Detroit, Hyundai, JCB, John Deere, Kubota, and Komatsu are also available either by rebuilding your engine or through someone we may partner with to provide the engine. 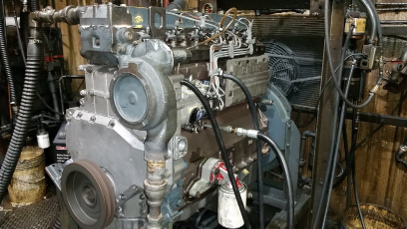 All of our gasoline, LP, and diesel engines for material handling equipment are hot run tested for a quality assurance that we feel is second to none in this industry. We also stock many popular new engines when they are available. Individual parts and full rebuild kits and help with specifications are available for people who will be doing their own reconditioning. 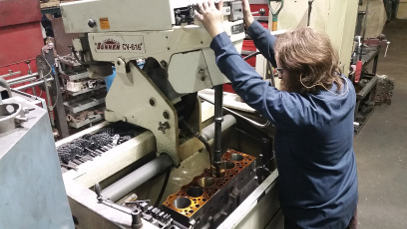 We can also provide many reconditioned or new cylinder heads and crankshafts. 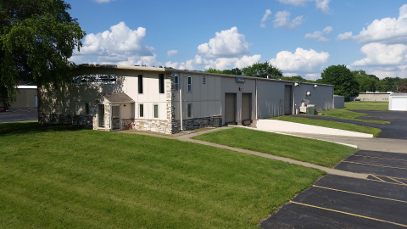 Call us for a fast courteous quote from people who know your industrial engine needs. © 2017 Grindstaff Engines, Inc.